Can anyone tell me what’s wrong with the first picture below? Obviously, this is just a rhetorical question. Just what in the world are these two precious babies doing here, on a neighborhood street with NO ONE around, in the a.m., after the night of the cold spell on Monday, 4/9/18. This is yet ANOTHER blatant example of abandonment and neglect. Pure and simply: animal abuse! They look absolutely petrified, cold, alone, and quite frankly, on the doorstep of a tragic death. This is reprehensible! Whosoever left them there to die, should be prosecuted! I am so sick of these individuals. More often than not, by many of the phone calls that I receive, I can say with complete confidence, these are mostly the acts of irresponsible young teenagers, whose parents have taught them NOTHING about responsibility! And also believe me in this, after talking to some of the parents of some of these kids, there is no doubt that THEIR parents too, taught them NOTHING as well! 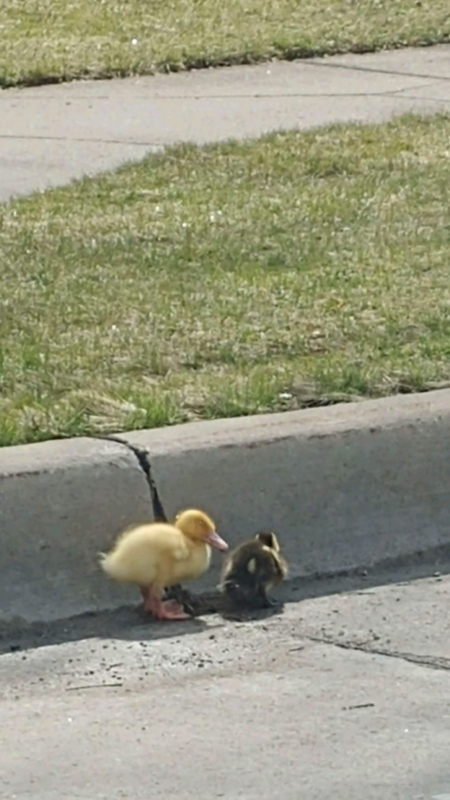 Thanks to Angie for making us aware of this situation, and to Sarah, the mail lady in Dearborn Heights, who noticed them and comforted them until they could be rescued shortly thereafter. Some people do care, but always never enough! It is just a sad state of affairs, and an another example of today’s young society, who just have NO clue, zero, about life in general. The sad part is that with all of the answers available, literally within seconds at most peoples fingertips with the invention of the smart phone, the average person seems less informed than ever before! 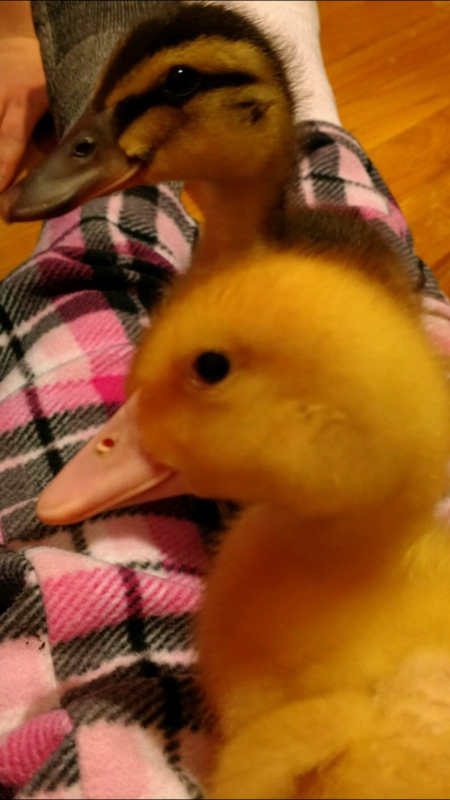 My aunt got 2 ducks but after 1 month decided to dump them I took them in but I can’t keep them any longer if there is something that can be done please help. How are these guys doing? Such a sad story. I see this kind of thing happen a lot. 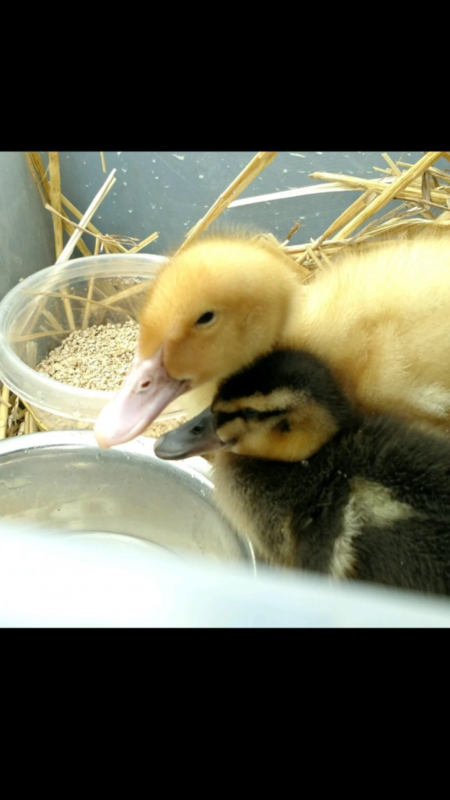 I really wish someone would put a stop to the sale of ducklings and chicks at stores like Tractor Supply. I take in unwanted and dropped off ducks as well. Most of these poor guys never get a chance.